Great gift & collection for Imaginext Fans and children ! I believe any problem can be settled with our good communication. Material: Made from high quality PVC materials. The first Green Lantern character, Alan Scott, was created in 1940 during the initial popularity of superheroes. Alan Scott usually fought common criminals in New York City with the aid of his magic ring. Figure is brand new and has been removed from the packaging. The figure does not come with the Build-A-Figure piece. This item will ship in a bubble mailer. Shipping is FREE! Any questions just ask. Have never been played with, only displayed, very clean. All 4 Schleich in great shape, 4 bendables also in good shape. Show minor wear but still look good. Great gift & collection for Imaginext Fans and children ! I believe any problem can be settled with our good communication. You may also like. In used condition with wear from normal use. The line was scheduled for initial availability in January 2008. . These lines were cancelled in 2013. We are grateful for your interest in Batcave Treasures! You may also be interested in. 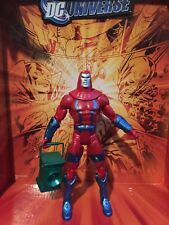 Green Lantern Green Man Action Figure Mattel DC Comics 4"
Green Lantern. In A Good Played With Condition. Booster Gold was assigned to prevent this from happening. To do so, he convinced Sinestro to leave Earth, claiming that he was an admirer from the future, and that his yellow Legion of Super-Heroes flight ring was a tribute to Sinestro. DC Comics Justice League Series 1. Check out the picture which represents the item you will receive. 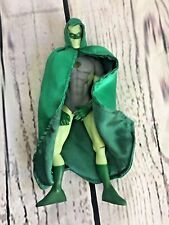 RARE Japanese GREEN LANTERN keshi rubber figure toy Japan DC Comics hero 1979 !! RARE 1979 vintage Japanese GREEN LANTERN rubber keshi figure DC comics Japan !! !